Marlborough – Walter “Walt” D. Campbell, 56, died Friday, April 27, 2012 at Marlborough Hospital after being stricken earlier in the day while golfing at St. Mark's in Southborough. He was born in Las Vegas, Nev., the son of Anne (Gregorie) Campbell of Manchester, N.H., and the late Walter Campbell. He was raised in Everett and was a graduate of Northeastern University, where he also received a master's degree in business administration. Mr. Campbell was a contract manufacturing manager in the Purchasing Department of Raytheon, where he had worked for the last 10 years. He also was a professor at Northeastern University. He was a longtime member of the Wayside Racquet Club, a Harley Davidson enthusiast and golfer, and enjoyed skiing, racquetball, and bike riding. He was a frequent rider in the MS Bike Race of Greater New England on Cape Cod. Mr. Campbell was a social, outgoing, fun-loving man. He loved life and truly lived it to its fullest. He leaves the mother of his children, Dr. Linda Reynolds; his son, Walter S. Campbell and his fiancée, Jessica Cormier, of Hudson; three daughters, Monique A. Campbell of Maynard, Danielle C. Langer and her husband, Todd, of Marlborough, and Gabrielle K. Miller and her husband, John, of Maynard; a sister, Candy Cieri and her husband, Frank, of Winthrop; six grandchildren, Austin Burgess of Maynard, Logan Burgess of Hudson, Tatetum Clark and Chase Langer, both of Marlborough, and Brianna and Shaelyn Miller, both of Maynard; and many nephews and nieces. Calling hours will be held Tuesday. 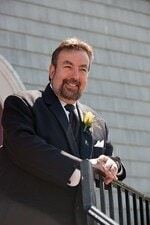 May 1, from 5 to 8 p.m., at Fitzgerald & Collins Funeral Home, 378 Lincoln St., Marlborough. Arrangements for a Celebration of Life will be announced at calling hours and on the funeral home website. In lieu of flowers, memorial donations may be made to http://main.nationalmssociety.org/site/TR/Bike/MAMBikeEvents?px=6108368&pg=personal&fr_id=17563. All are invited to sign the online guestbook at www.CollinsFuneral.com.